This entry was posted on Friday, December 16th, 2016 at 4:50 am	and is filed under LD #37. You can follow any responses to this entry through the RSS 2.0 feed. You can skip to the end and leave a response. Pinging is currently not allowed. I wish I had a chance to see this before the jam. We did some similar combat mechanic but not quite as good looking. Any chance you share the source? 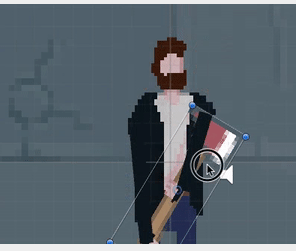 You can use native linerenderer in Unity or draw your custom lines with generation of mesh. So its pretty easy. Gipzo, you need fix z position of points of toy lines, you can seen on the pic why. Yeah, it is bugged in GIF. Know about how to hack someones twitter account online without spending a single penny.